We've made one of the most portable REOs even more portable! 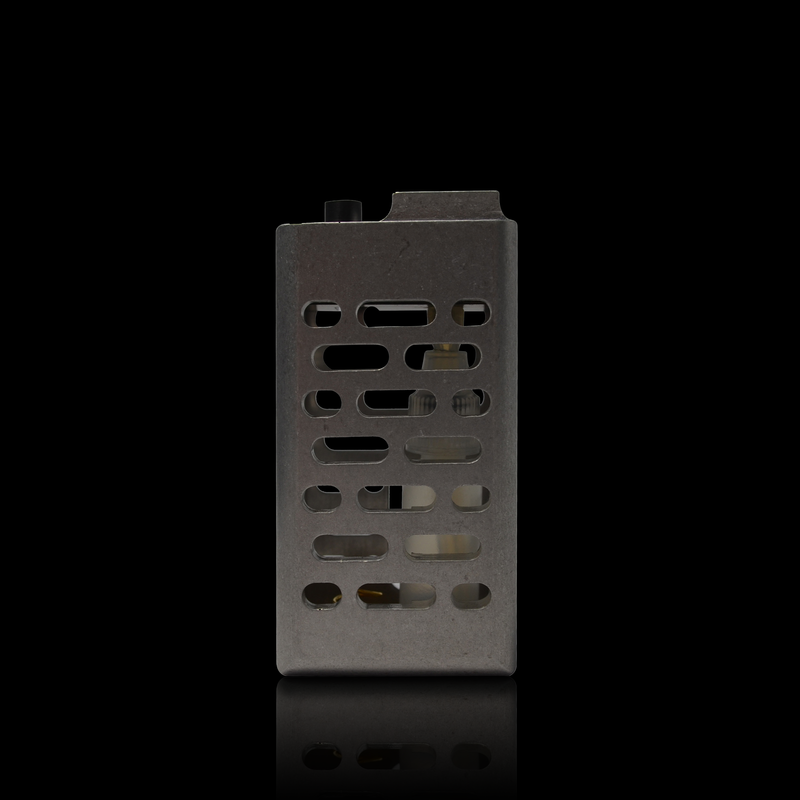 The slotted holes in the REO Mini 2.1 SL make it even lighter than the Mini 2.1 LP. Making it one of the most portable mods that we make. To some people lighter means more fragile but with the REO Mini 2.1 SL that is simply not the case. 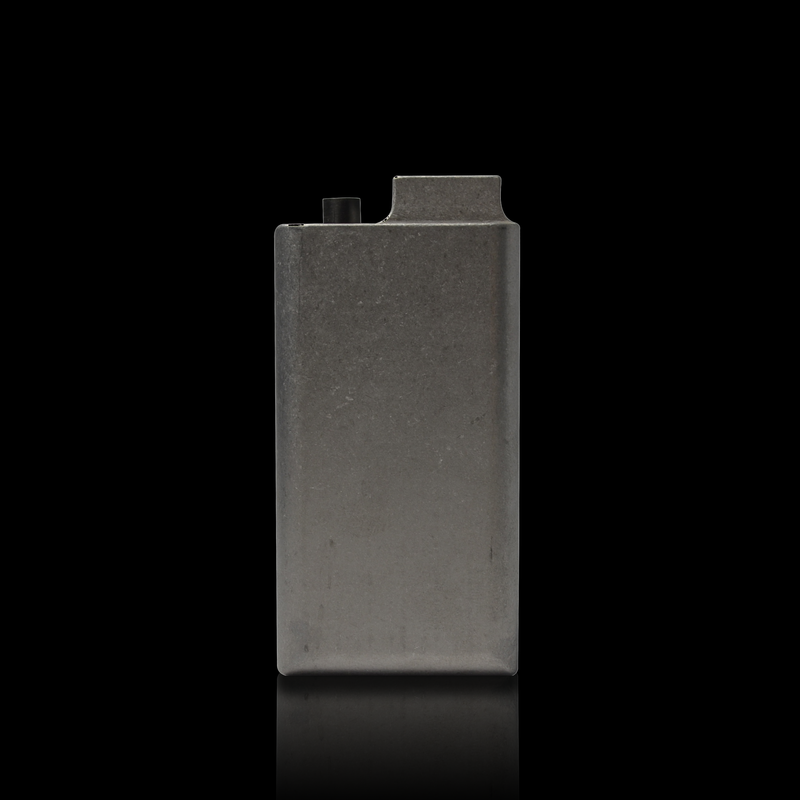 This mod, just like all other REOs, is milled out of a solid block of aluminium. I may not be as durable as the solid models but it can still take a serious beating. The fact that it is 100% mechanical means you don't have any wires or micro chips to mess with, so this mod can even get wet. If the REO Mini 2.1 SL is the mod for you scroll down to take a look at the different color options. Once you've chosen a color for your mod you'll choose the color and style of your REO Door. 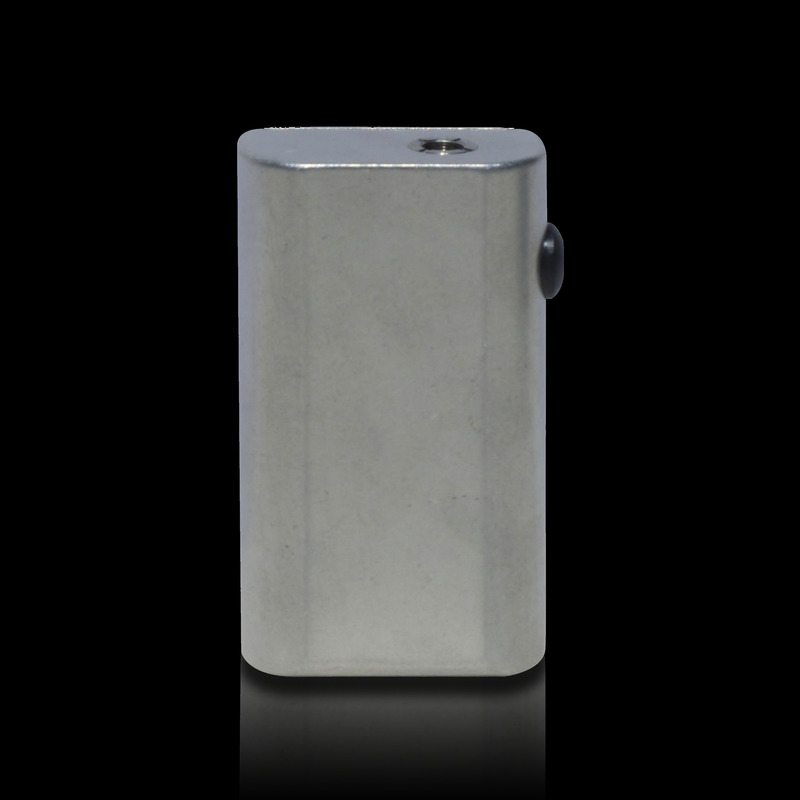 The Reo Mini 2.1 LP is a small personal vaporizer milled out of block aluminum. Like all Reo’s mods, it is 100% mechanical. 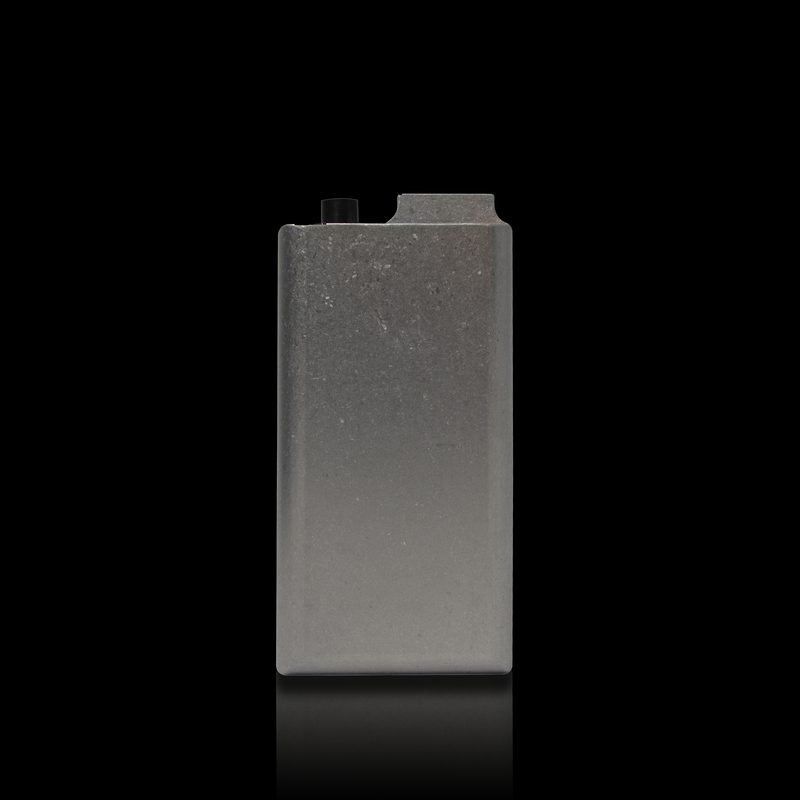 Due to its smaller size, the Mini 2.1 is perfect for someone wanting a compact mod without compromising battery life. 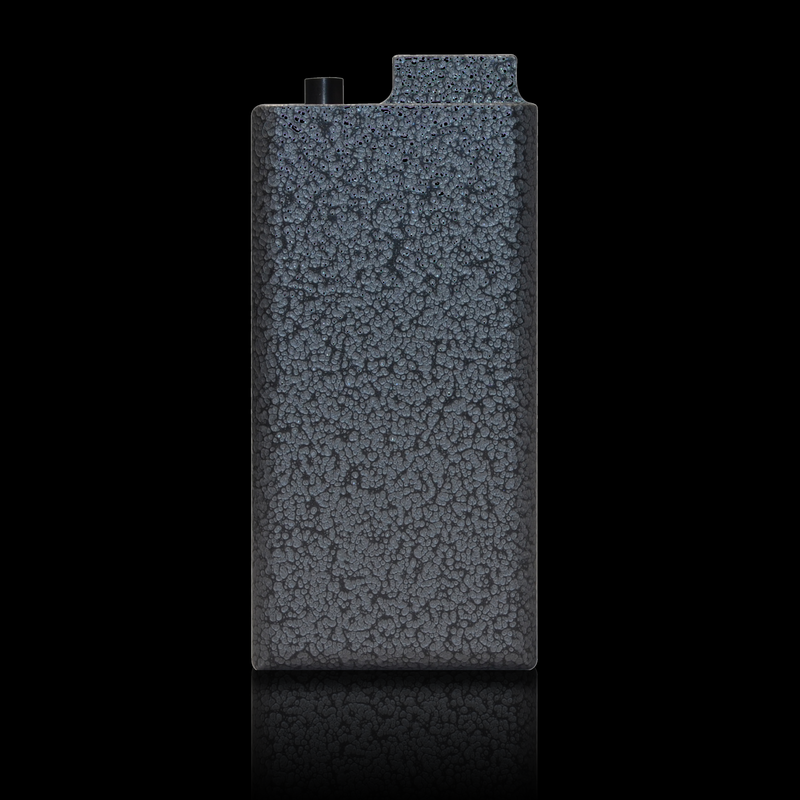 Rounded back corners add to the comfort and style of the Mini 2.1 LP, allowing it to fit perfectly in your hand or pocket. Customization is a key feature of the REOSmods experience. Which is why we let you choose from so many different colors. Here are the colors that the REO Mini 2.1 SL come in: Brilliant Red, Brilliant Purple, Brilliant Blue, Silvervein, Coppervein, Hammertone, Black Wrinkle, Tumbled, White, Orange, and Kawasaki Green. The Mini 2.1 SL is just like the Mini 2.1 LP in its compatibility with rebuildable atomizers. Because of the shallow drip well larger RBAs will fit onto the REO Mini 2.1 SL. If you still use cartomizers and disposable atomizers, don’t worry, they still work with the Mini 2.1 SL. We’ve actually found that the Chalice V4 RBA by Mark Bugs, fits perfectly on the Mini 2.1 SL.